Today we’ll talk about opportunities of managing printers and their drivers from the command prompt in Windows 10/ 8.1 and Windows Server 2012 R2/ 2016. We will consider how to install a new local or network printer, print driver, create a TCP/IP print port, print a test page, delete a driver or printer using simple Windows commands. It can be useful in various scenarios unattended printer installation in SCCM tasks, logon scripts of the group policies and on the servers running in the Server Core mode. How to Install a Printer Driver from the Command Line? How to Add a New Printer from the Command Prompt? How to Create a TCP/IP Port for a Network Printer? How to Print a Test Page from the CMD? How to Add a Network Printer via the Command Line? 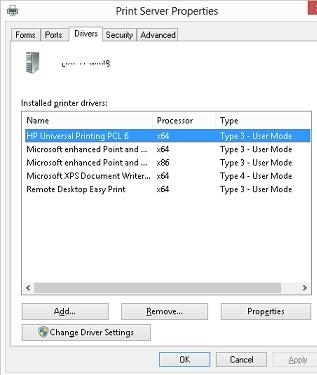 How to Remove a Printer and Its Driver from the Command Prompt? To manage printers, Microsoft has developed several VBS scripts that allow you to manage printers and print queues, install and uninstall printer drivers, etc. 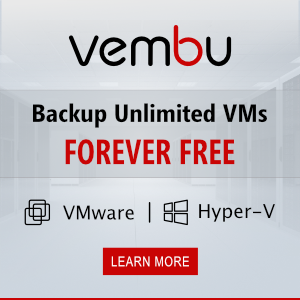 These scripts are present in all Windows versions (starting from Vista and Windows Server 2008) and are located in the directory C:\Windows\System32\Printing_Admin_Scripts\en-US. In Windows XP and 2003 these VBS scenarios are stored in the C:\WINDOWS\system32 directory. Note. One of the well-known ways of managing printers in different versions of Windows is the host process rundll32.exe, which receives the name of the library printui.dll and the entry point to it (PrintUIEntry). The command rundll32 printui.dll,PrintUIEntry is enough to perform basic operations with printers and is fully supported by Microsoft, but the use of specified vbs scripts is preferable from the administrator point of view. Let’s consider typical scenarios of using these VBS scripts. Permissions to install and configure local printers are available for members of the following local groups: Administrators, Print Operators or Server groups. 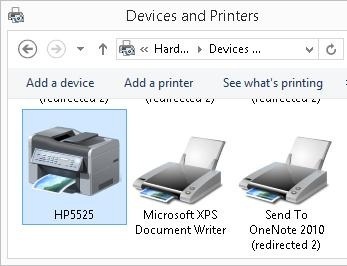 After the driver is installed, it appears in the print server properties (Control Panel\Hardware and Sound\Devices and Printers -> Print Server Properties). Note. If you are using an incompatible printer driver, you can install it manually. cscript "C:\Windows\System32\Printing_Admin_Scripts\en-US\prnmngr.vbs" -a -p "HP5520" -m "HP Universal Printing PCL 6" -r "lpt1:"
-r “lpt1:” – a name of the local print port used. In this case, printing should be performed through the LPT port. Here you can specify the parallel port (LPT1:, LPT2:), serial (COM1:, COM2: – before installation, make sure that this COM port is not used by another device) or USB port (USB001, etc.). -n 9100 – the number of the TCP port of the device (usually 9100). cscript "C:\Windows\System32\Printing_Admin_Scripts\en-US\prnmngr.vbs" -a -p "HP5525" -m "HP Universal Printing PCL 6" -r " IP_192.168.1.22"
After the script is over, a new printer HP5525 appears in the system. To remove printer from the AD, use the “-published” argument. Quite frequent errors when connecting network printers – 0x00000002, 0x00000057 and 0x0000007e. Ways to solve errors are available at the links above. In this article we looked the basic operations with good old Microsoft VBS scripts that allow to manage printers and their drivers from the command line in various Windows versions. A complete list of the capabilities and arguments of these scripts are available in Microsoft documentation or in the in-built help of the scenarios (just run the script file without parameters in the command line). In the next article we will introduce a new opportunities of printer management in Windows 10 / 8.1 and Windows Server 2016 / 2012 R2 provided by PowerShell. This is GREAT info – I assume that windows 10 is the same? Is it possible to add a user code in the printer configuration using command line ?